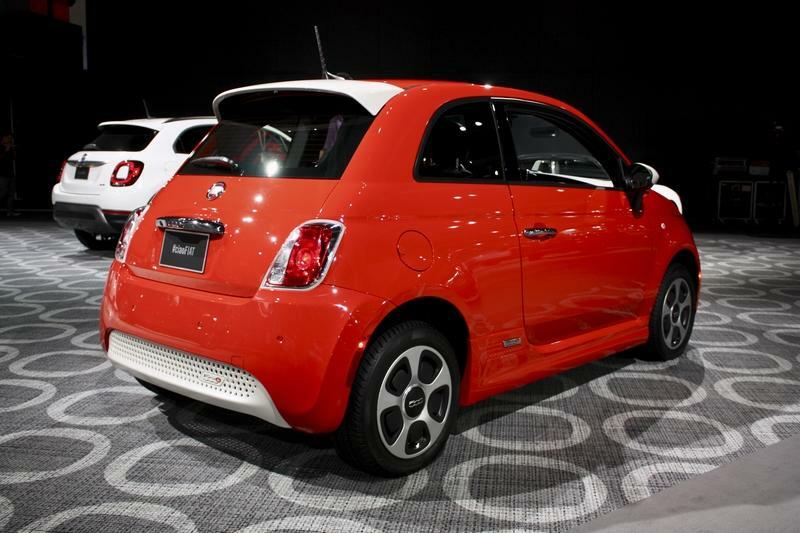 Fiat didn’t really want to make the 500e, but it was forced by emissions regulations to add a full EV to its lineup, which it reluctantly did back in 2013. The vehicle itself wasn’t received particularly well at the time, being criticized for its limited range and availability, as well as its high price - it can only be ordered in the states of California and Oregon, although there are plenty you can now buy second hand wherever you live, even in Europe where it was never intended to be sold. 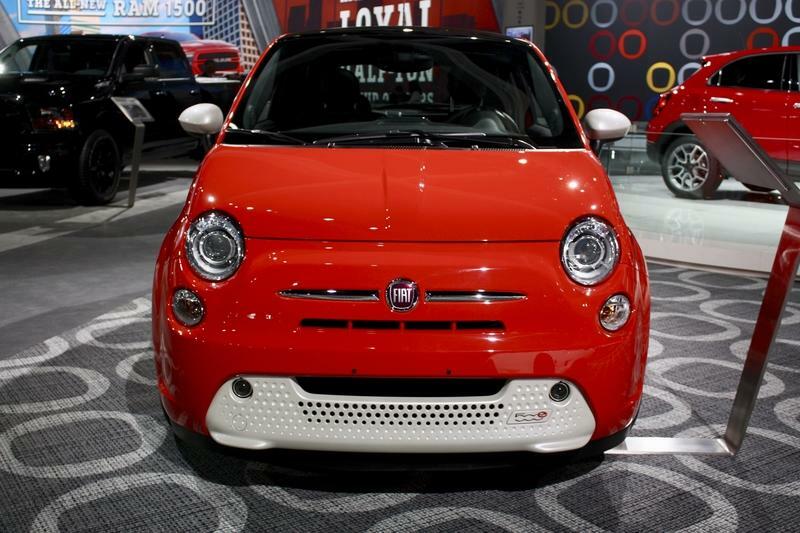 The 500e is clearly a Fiat 500, from whichever angle you look at it. Its shape as aged well over its nearly one decade-long career and the electric variant has several features to distinguish it from its petrol-burning counterparts. It has unique 500e badging, unique front and rear bumpers, and unique rims and decals. And that’s enough because if there was ever anything that wasn’t wrong about the 500, it was its overall design and styling. And if you were thinking that you can only get one in grey or orange (the two most popular color choices), you may be happy to learn that you can also have it in one of six available finishes. Inside the 500e, there are differences that set it apart from regular 500s. It has buttons to put the car into drive, neutral, or reverse and the gauge cluster is also different since it is an electric vehicle. But, aside from that, it’s all familiar 500 fare, which means a minuscule back seat, a driving position that’s a bit too high for some drivers, and surprisingly bad visibility for what is essentially a small and bubbly looking car - the car’s B-pillar obstructs your lateral line of sight and the view out the back is not very revealing either. It is also worth noting that the back seat in the 500e is even smaller than that of the regular 500. The same goes for the cargo area, as the battery takes up some of that space. Quality is okay, but you couldn’t call it premium - it’s quite far behind any MINI interior, even one in an older generation MINI, not the latest one. But at least the front two passengers will be comfortable and have plenty of room to move around and, thanks to the big doors, access (even in the cramped back) is actually quite easy. The full-color seven-inch TFT instrument cluster helps lift cabin ambiance, but unlike in the gasoline burning 500, it has no rev counter or water temperature gauge. Instead, it shows the all-important charge levels and trip information, much more important in an EV where range anxiety can very easily creep in (particularly if your EV doesn’t have a massive range like some of the latest models from rival manufacturers). 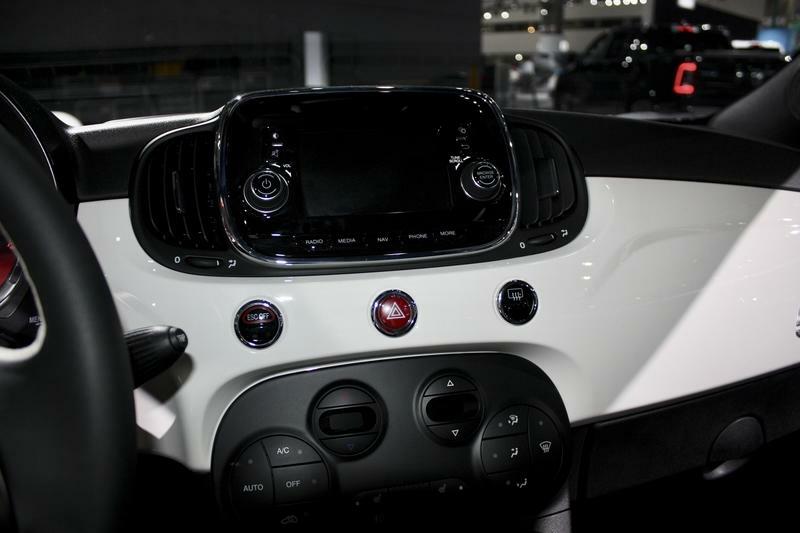 Infotainment is catered for by a 5-inch touchscreen that runs FCA’s Uconnect 5.0 system. It does have Bluetooth connectivity, but Android Auto and Apple CarPlay were only added in the very latest model years - older cars, even if they have the same infotainment system, will lack these features. Over bumps, the 500e sometimes feels unsettled, and there’s also a bit of noise from the suspension working - this is really jarring since the overall 500e driving experience is actually pretty good - it’s extremely quiet and refined, but try to keep it on well-surfaced roads to actually enjoy that serenity. The 500e is motivated by a 111-horsepower (83 kW) electric motor that draws its current from a 24 kWh battery - comparably small by current standards. Torque is rated at 147 pound-feet / 200 Nm. 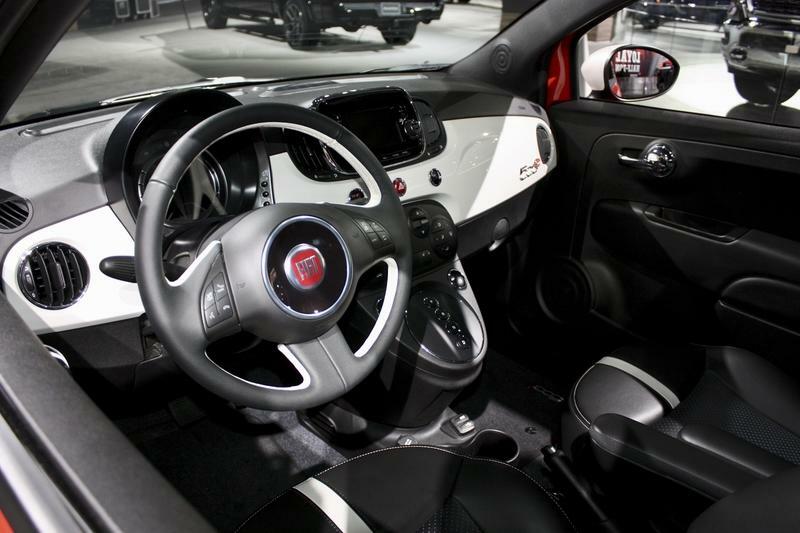 Fiat claims the 500e has a range of 84 miles / 135 km and owners can apparently achieve that, especially if the car is driven exclusively in the city - then it might even exceed what the manufacturer claims, according to some reports if they drive it really carefully. It’s quite spritely too, with a zero to 62 mph / 100 km/h sprint time of around 8 seconds, although like many EVs, its top speed is limited - in this instance to 85 mph or 137 km/h. 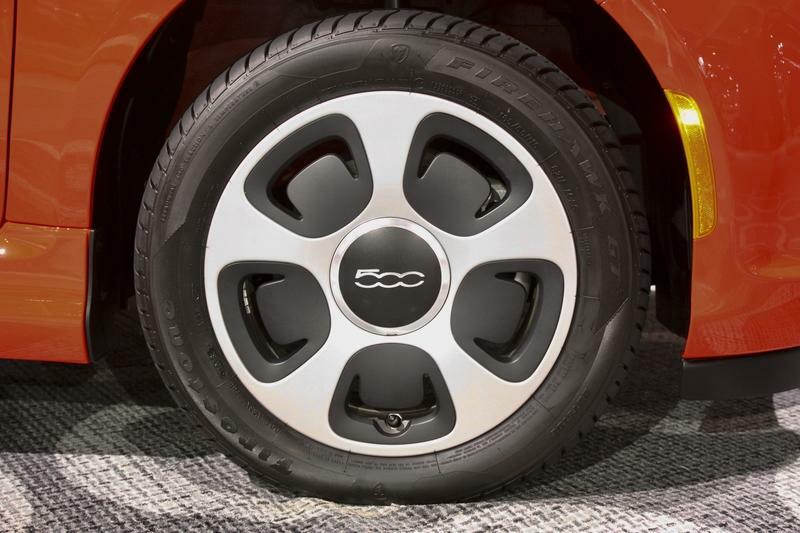 You even get a bit of chirp from the tires when flooring it from a standstill, which you don’t really get with other small EVs with similar power. 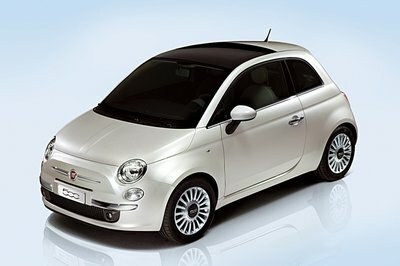 This shows Fiat intends for the 500e to be a bit more fun than its competitors. It’s also surprisingly fun to throw around, and you can actually enjoy driving it on a twisty canyon road. You obviously deplete the battery very quickly when doing this, but before you run out of juice, you will enjoy yourself behind the wheel. It also does commuting on the highway quite well too, thanks to a surprisingly hushed cabin and decently comfortable seats. Again, in this application, range will be less than advertised if you cruise at the speed limit - the car apparently likes to cruise at no more than 72 mph when it’s at its most efficient. Charging the little 500e takes around four hours if you use the car’s on-board 6.6-kW charger. It doesn’t offer any kind of fast charging capability, though, so the maximum you can expect using its own charger is no more than 25 miles / 40 km per hour charge rate. 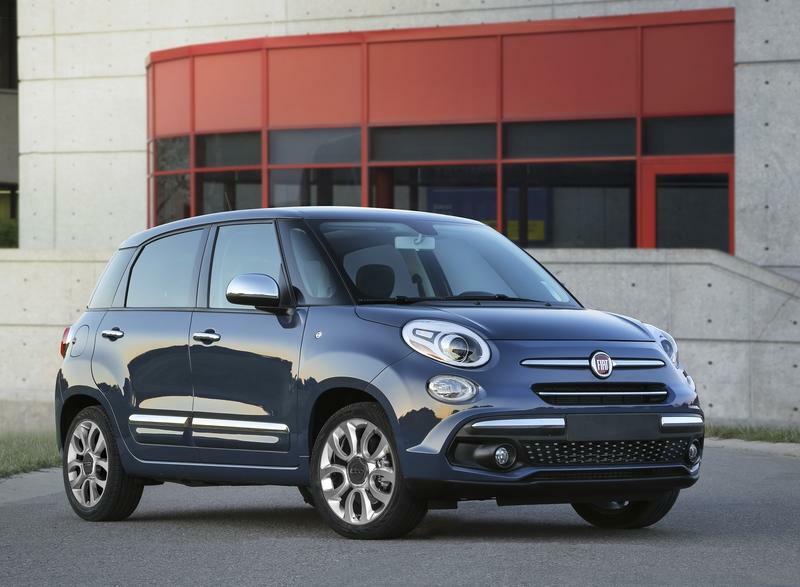 Fiat only sells the 500e in California and Oregon, so even getting one might be a challenge if you don’t live in either of the two states. Base price for the 500e is $32,995 without destination charge. Options are offered too - $500 for the Perla White Tri-Coat exterior paint (although you may want to keep it in the standard Electric Orange) and another $500 for the eSport pack. 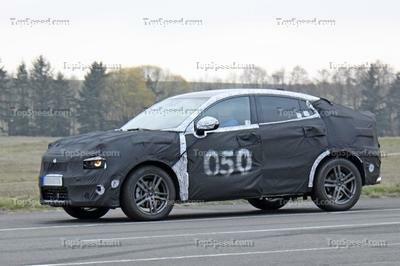 The latter of which you really want because it adds those cool looking black trimmed headlights that just work with the car’s design really well; it also adds nicer aluminum wheels with orange inserts. Then you can also opt for the All Weather Package for another $225, the opening panoramic sunroof for $795, and black or dark grey accents inside for $395. 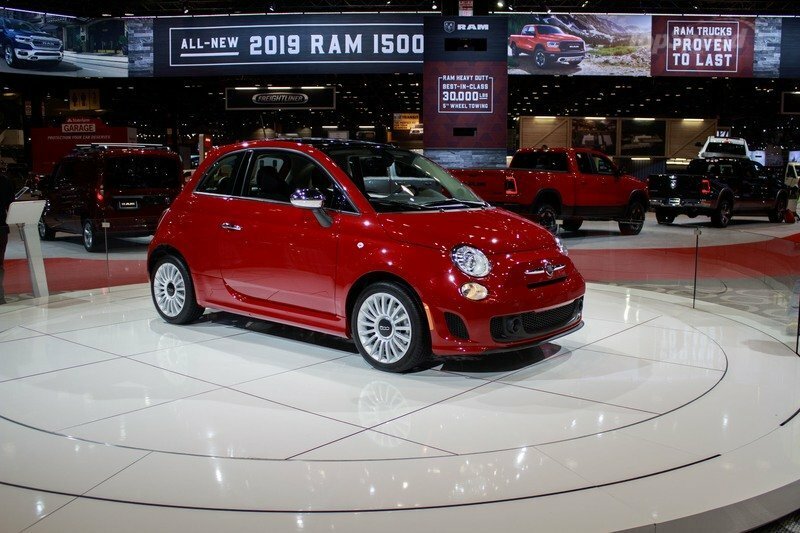 But Fiat says the 500e qualifies to get as much as $14,000 in incentives, so its real price, even fully optioned out, won’t be much higher than $20,000. 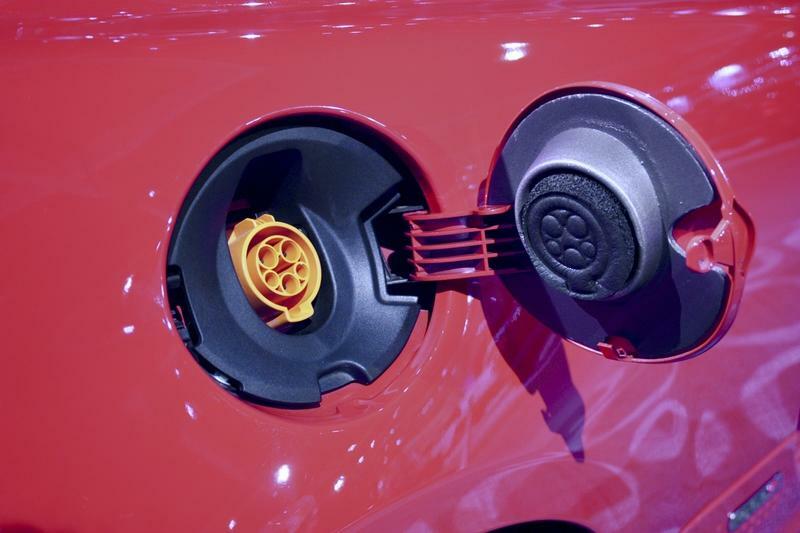 Besides, Fiat is most likely selling theses at a bit of a loss, simply to comply with California’s EV sales quotas - it is the exact opposite of a cash cow for the company. Chevrolet Bolt is a very talented and well executed EV. 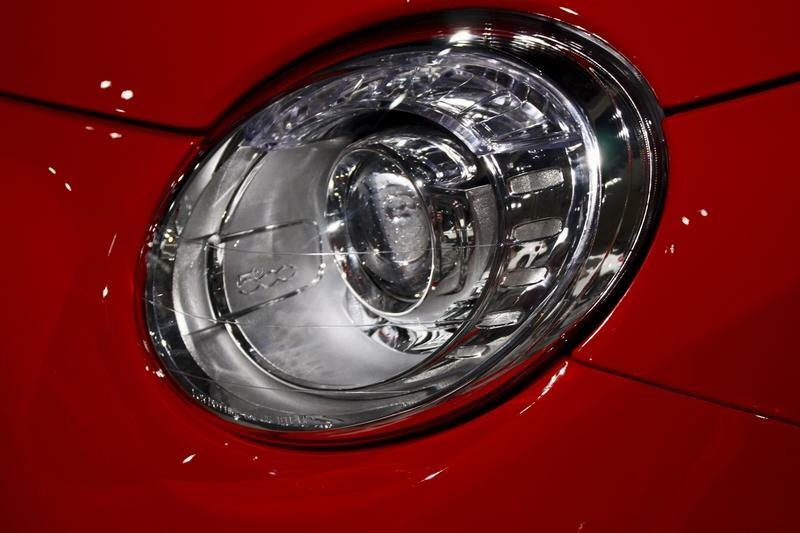 It does start at $36,620 before any tax credits or rebates, but it has a range of 238 miles / 383 km and 200 horsepower. It’s therefore considerably quicker than the 500e and also has vastly more range. Like the 500e it is extremely quiet inside on the move, but unlike the Fiat, it actually offers decent accommodation for rear passengers as well. Where it falls short is in terms of cabin materials and seat comfort, but these are still not enough to deter buyers from wanting one. 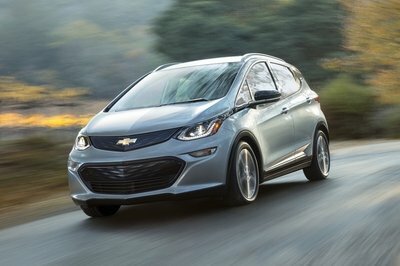 The Bolt kicks off at $36,620, or $29,995 with the federal tax credit factored in and you can probably get it even cheaper depending on the state you buy it in. 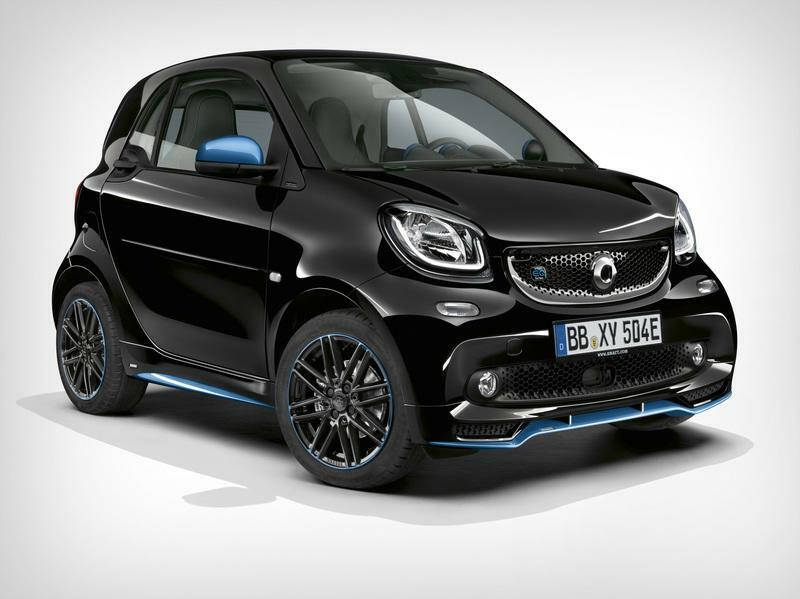 Smart probably sells the closest rival to the Fiat 500e (in terms of size, although the Smart EV is a strict two-seater), in the form of its revised EQ Fortwo model. 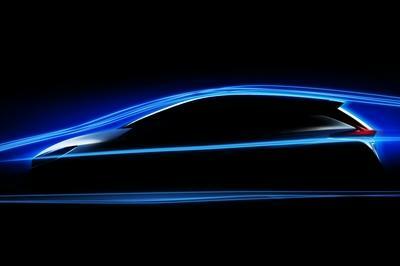 However, its performance is underwhelming compared to pretty much all other electric vehicles on sale, with its claimed range of just 58 miles / 93 km on a single charge and leisurely acceleration (it takes over 11 seconds to reach 62 mph / 100 km/h, although its top speed of 81 mph / 130 km/h is comparable to rivals’). With those kind of numbers, it needs to be cheap to justify its existence, and it is. In the US, it’s priced from $25,390, but with up to $7,500 federal tax credit plus additional state incentives, it drops to a far more palatable figure. 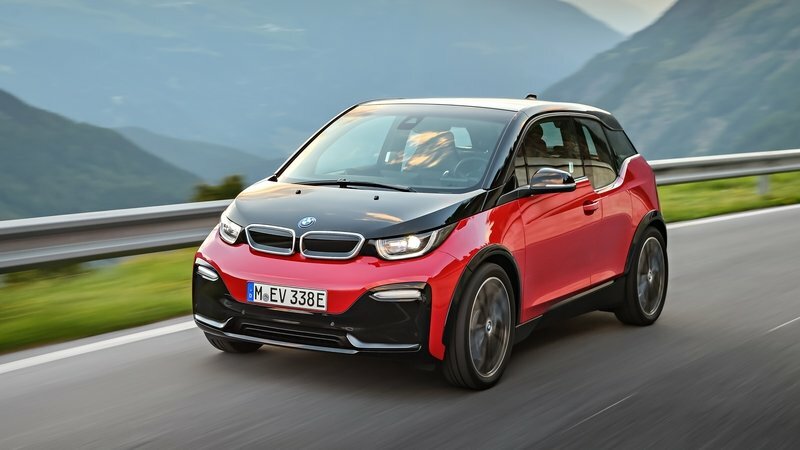 At the other end of the small EV price scales, we have the rather excellent BMW i3, a car which if you can afford will be one of the better electric car experiences you can have nowadays at any price. It has a great interior which, if specced right, can act as a mobile zen center for meditation, it has four doors with a unique pillarless construction and lively performance. With 170 horsepower on tap instantly delivered to the (thin) rear wheels, the i3 is considerably more fun to drive than any of the smaller EVs available now. 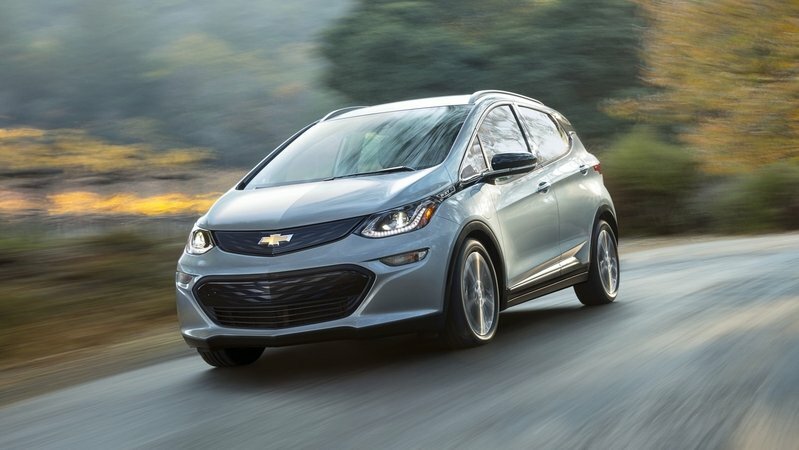 Plus no rivals can match it in terms of overall quality, but especially interior perceived quality - it’s frankly as well built as much more expensive EVs and while it’s still expensive (starts at $44,450 before any rebates and tax cuts) but if you can pay the difference between it and its rivals, there really is no contest. 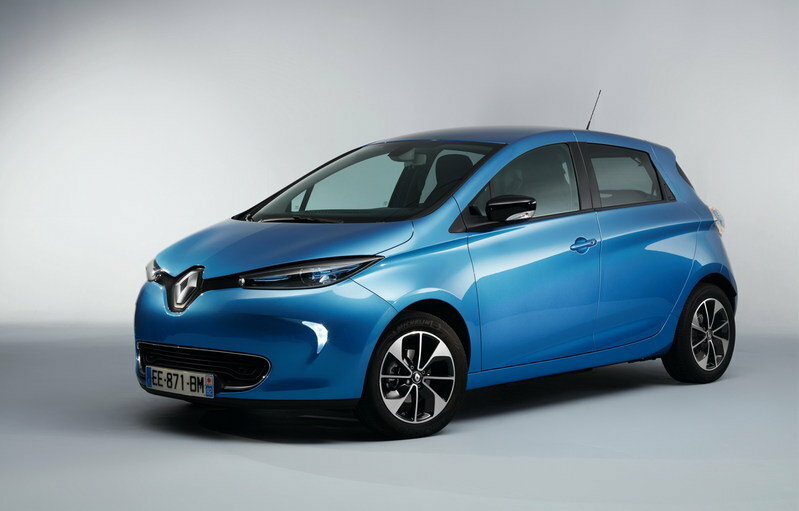 If you’re from North America, you’ve probably never heard of the Renault Zoe. It looks like a typical Euro city car with cutesy styling and a cheapo interior, yet it is one of the most talented EVs out there and by far the best in its price and size bracket. It has an actual real-world range of over 300 km which you can actually achieve and even if it’s not the fastest accelerating thing out there (0 - 62 mph / 100 km/h comes up in 13.2 seconds) it still has plenty of usable punch thanks to its 220 Nm / 162 lb-ft. 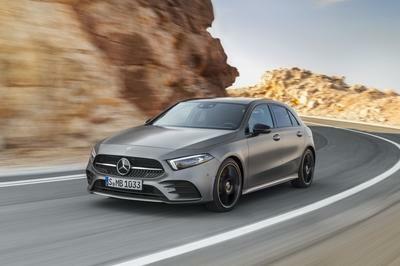 But even if it feels like a cheap car when you’re aboard, it’s not actually that cheap - in Europe it starts at around €33,000, and you can increase that with features and options. It’s still a great buy and one of the few small electric cars that are actually practical to own - it makes sense to buy one of these, even if your commute takes you outside the city every day; there’s enough battery capacity to cater even for longer drives. The 500e is proof that Fiat didn’t really give the 500e its best shot. The vehicle has been improved since launch, but realistically it was never a top pick. Besides, the fact that you can only get a 500e in just two states drastically affects its reach and appeal, and it’s also the reason why you don’t really see that many of them on the road. On the other hand, its blend of funky and cute styling (which has aged really well, by the way), peppy performance and the positive general image of the 500 model still keep it somewhat appealing. It’s actually one of the few EVs out there that people may buy with their heart more so than their brain because as a practical proposition it’s not that great, but as a package, you still want to have one, just for the privilege to occasionally pinch its little electric cheeks. 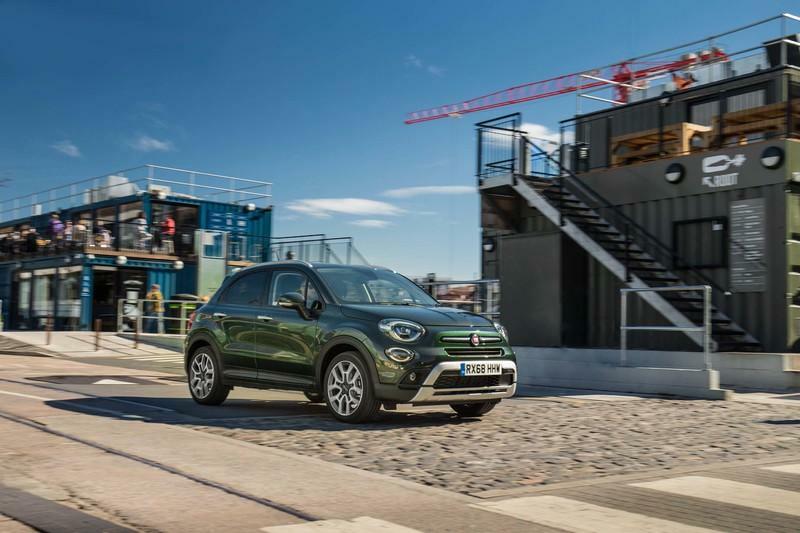 Read our full review on the 2019 Fiat 500X.